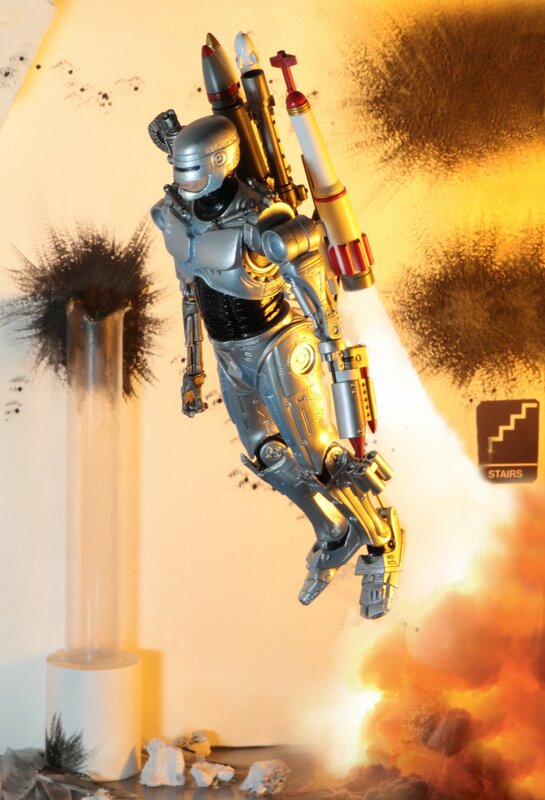 NECA has posted a preview for an all-new Robocop release. 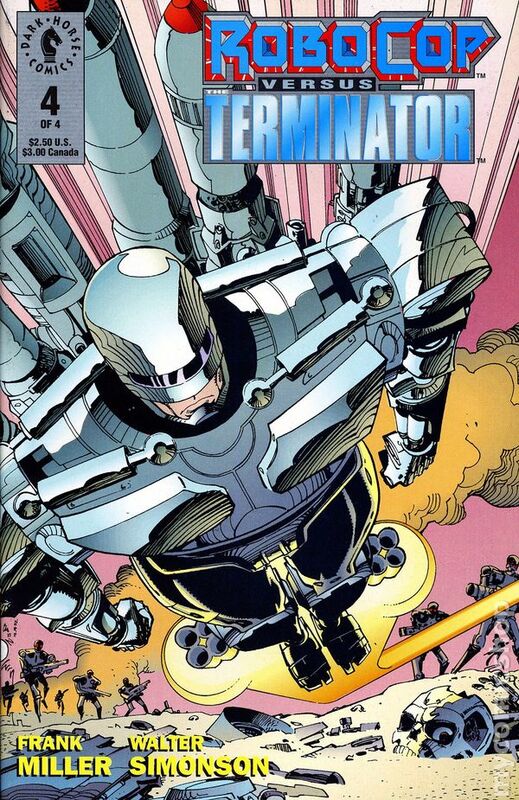 For Robocop’s 30th Anniversary, they are prepping a few releases from the Robocop vs Terminator comic series. We had previously seen a preview for the Endocop Robocop. 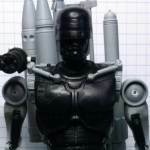 Today they have released a behind-the-scenes look at their prototype for the Ultimate Future Robocop 7″ Scale Figure from the Robocop vs Terminator Comic Series from Dark Horse Comics. We will update as more details emerge. Click thumbnail for a larger look at the figure. Is that a terminator's arm? This is from the Robocop vs Terminator series. This is unexpected. Outside the ED209 re-release, I thought all things Robocop were dead in the water with NECA. As awful as the reboot was, I wish they would take a stab at those versions of Alex. The 1.0 was really slick looking and the black version eventually grew on me. They may be finished with Robocop but this may fall under the Darkhorse comics license. Like the Predators maybe? Makes me happy that I picked up the Robocop with jetpack when I did. Are the comics any good? I'd definitely pick up a 1.0 figure if they made one but I'm also one of the 4 people that actually like the reboot. They teased this a while back, didn't they? I dunno, the original artwork was all exaggerated and crazy, the toy just doesn't look imposing enough. And weren't his arms just regular T-800 arms drawn to look beefy as hell? I don't know about this. I guess I would have to see the finished product. I like Robocop and I like Terminator but the two put together just doesn't mesh right. I like the Endocop teased figure better. Looks a bit silly, but it's an action figure from NECA and a must have for me. Love it....Love it...Love it! Doesn't mesh at all with the comic art. It just looks goofy. I'm not interested in the figure, but now I want to read that comics series really badly. I'd forgotten that Frank Miller had written it and never knew Simonson did the art for it. I heard it's pretty wacky and it sounds like fun. Half Robocop, half Terminator? That's pretty Damn awesome! I loved the reboot. But I'm weird like that. But I'm with ya, I'd pick up the 1.0 version if a really good figure of it came along that wasn't a stinkin PAK. Except that the face/mouth looks like a cartoon character. Other excellent crossovers: Aliens vs Predator (the original) and Batman vs Predator. NECA will make figures inspired by these series, so I'm really happy! When are we gonna get a Shfiguarts like posable 8" Robocop? Is the play arts any good? exactly! 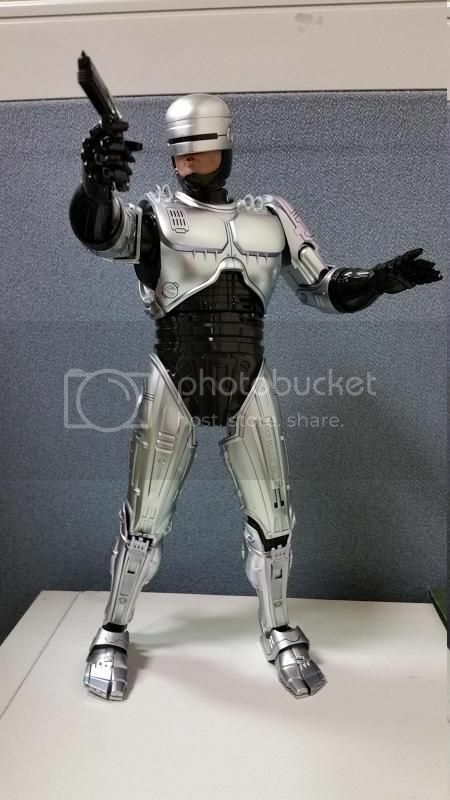 When are we gonna get a Shfiguarts like posable 8" Robocop? Is the play arts any good? As someone already posted, there is an SHFigurearts styled Robocop that was released in the Figma/MaxFactory version. 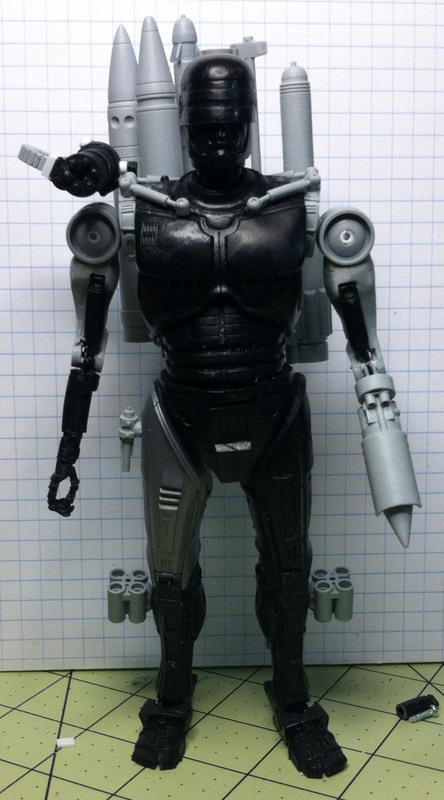 He had about all the articulation you could want in a Robocop and was really damn accurate. The only problem with it was as En Sabah said, the face was done rather crudely, having a more animated look than that of an actual human under the helmet. I didn't care for the PAK classic Robocop all that much. The proportions were kind of wonky, and the figure was a bit fragile according to many of the reviews and threads I read up on. Plus I already had the Hot Toys version, so it felt redundant to get a version that would be clearly inferior to it. I do have the PAK 1.0 version from the reboot however, and he is pretty sweet, but is also not perfect. He can hit just about any pose you want him in, comes with four weapons (his taser and machine gun in extended and retracted form,) and is fairly sturdy, but the leg panels where his weapons are bolstered don't peg on all that seamless like the should, as the have slight gaps that break up the mold. I have to be honest, I am still not sure how I feel about this figure. I know that it is based on the comics and all that but it seems to be almost too much...stuff. Borderline comical? I don't know. Maybe more pictures will help. I may have to pick up some endoskeletons though if I am going to commit. I sure hope that they made improvements to those Endo parts, and didn't just kitbash them from the older figures, because those things were super fragile. It's a busy design, but then again, so was the source material. All times are GMT -4. The time now is 4:58 AM.